Blackout periods come about for administrative reasons. 2. 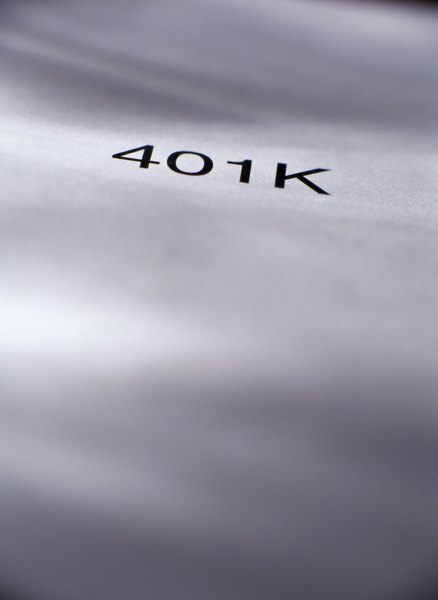 Can I Get My 401(k) if I Am Vested? A 401(k) plan gives you a certain measure of control over your retirement savings. You contribute a portion of your pay, your employer might match a portion of your contribution, and the money is invested, with all taxes deferred until retirement. Although 401(k) plans typically allow you to adjust your investment options, there may be times when all plan participants are prevented from making any changes. These are called 401(k) "blackout periods." During a 401(k) blackout period, participants in a 401(k) plan can't make any changes to their accounts. You can't adjust your investment options or percentages, request loans or distributions, make trades or do much of anything else. Your employer will continue taking contributions out of your paycheck, however. Blackouts can last days, weeks or even months. There's no legal maximum length, although employers must tell you when a significant blackout is coming. Blackouts occur when an employer or a plan administrator -- a company hired by the employer to run the 401(k) -- is making major changes to the plan. If the employer is switching to a new administrator, that will usually trigger a blackout, as will a decision to change the available investment options. During a merger or acquisition, the plan also may go into blackout while it adds new employees. When these kinds of events occur, all accounts must be valued and, if necessary, liquidated so that their funds can be reinvested in new investment options. This requires accounts to be frozen temporarily. If a 401(k) blackout is going to last for more than three days, employers are required by federal law to send a written notice to all plan participants and beneficiaries. The notice must be sent at least 30 days before the blackout begins. The notice requirement was the result of the failure of the energy company Enron in 2000-01, although many companies were already providing blackout notices. At the time considered one of the country's largest and most successful companies, Enron collapsed in a matter of months in a massive fraud scandal. Enron employees, many of whom had their entire 401(k) holdings in company stock, tried to sell their shares as the price plummeted, only to find that the 401(k) was in a blackout. Blackouts are inconvenient, but they're also normal. A blackout is potentially a sign of changes to come in the 401(k), but it shouldn't be taken as evidence that the plan is in trouble. Enron employees didn't lose their retirement savings just because their 401(k) was in a blackout. They lost their retirement savings because the company was committing accounting fraud, which pumped up its stock price. When that fraud was revealed, the blackout prevented plan participants from unloading their shares. Withum Smith + Brown, PC: What Is a Blackout Period?